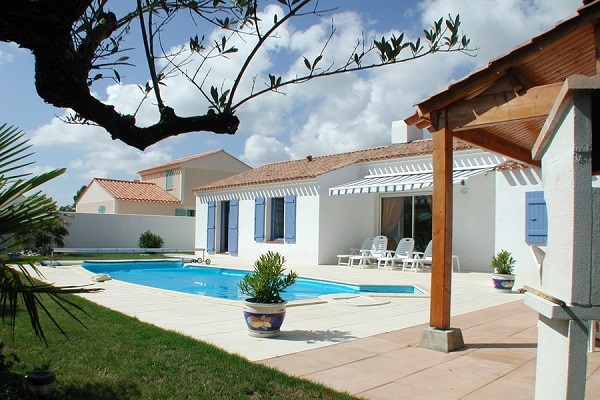 Two-bedroom villa with private pool and enclosed garden within a select and gated residence on the south side of the family seaside resort of St Jean de Monts. 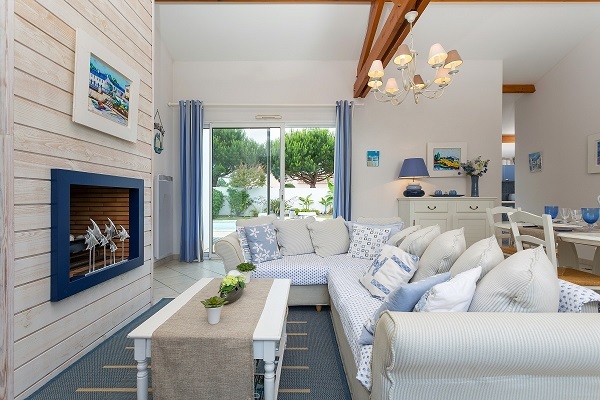 The residence consists of under 100 villas each with private pool (can be heated at an extra cost) and enclosed garden with attractive terrace and outdoor furniture designed so clients can enjoy privacy and tranquillity during their stay. 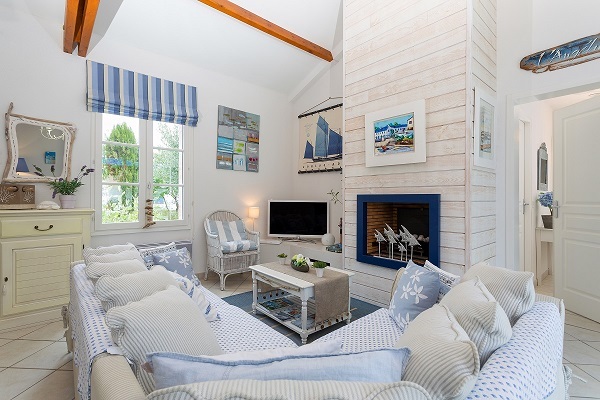 The development has a relaxed atmosphere and is pleasing on the eye as it tastefully blends three distinct styles of property – the Longere, a traditional Vendeen single story cottage; the Mas, a Provencale style farmhouse; and the Maison de Maitre, an elegant bourgeois town house. 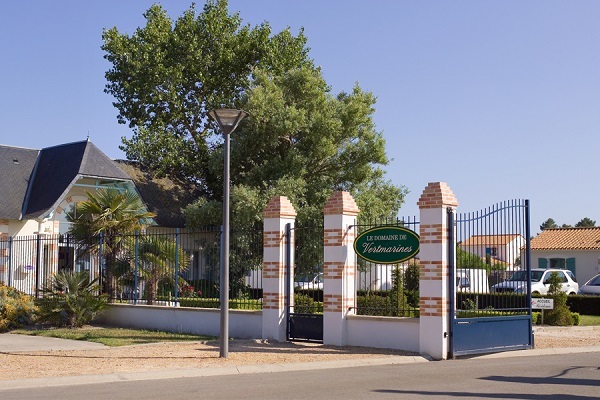 The domaine is located on the edge of a forest just 2km from the wide sandy beach and long promenade that has made St Jean de Monts such a popular destination, and 4.5km from the resort centre with a good selection of restaurants, bars and shops. There is a cycle path starting at the back of the residence that takes you to the beach in about ten minutes by bike. Bikes can be hired from reception and delivered to your villa directly. 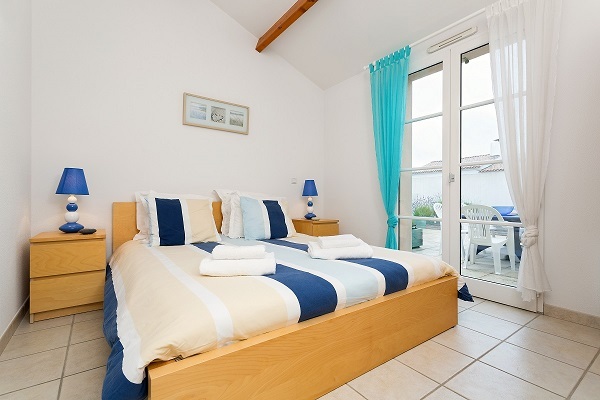 Please note that photos are example of villas only and decor and furnishings may vary. Living area Living/dining room, TV with supplement, sofas. Dining area. Sliding doors lead to open furnished terrace and pool. 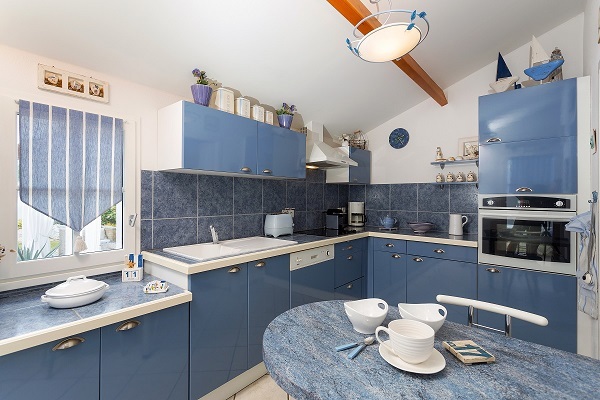 Kitchen Fitted kitchen with dishwasher, fridge-freezer, oven, microwave, electric hob, kettle and coffee machine, toaster. Garage with washing machine. Bedroom(s) Most villas have one double bedroom and one twin bedroom. Bathroom(s) Bathroom with bath. Separate wc. Exterior Enclosed garden (around 300m²) with outdoor furniture and barbecue. Parking space by the villa and garage. Pool Pool size: 8 x 4m (minimum), depth 0.85-1.7m. Security system may vary depending on the villa (alarm, fence, cover or partially opening dome). Steps or sometimes ladder. Possibility of heated pool - subject to availability and additional average cost approximately 150€ per week. Pool opening dates at beginning and end of season may vary due to weather conditions. 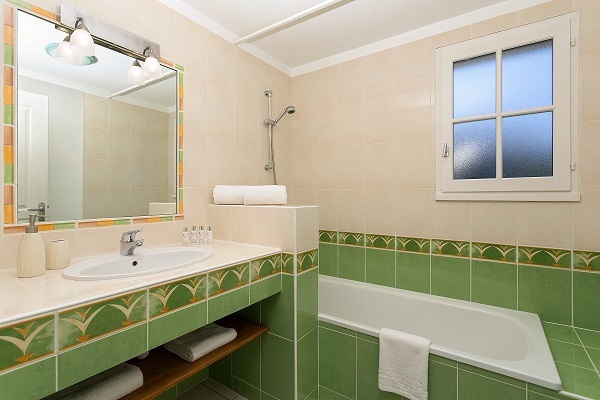 Nearest airport(s) Nantes airport: 1 hour (70km). La Rochelle airport: 2hrs 15min (150km). Ferry: Ferries to St Malo: 3hrs (250km) and Caen: 4hrs (365km). Shops Shops and supermarkets 1.7km, resort centre with a good selection of restaurants, bars and shops 4.5km. Tickets available at reception at special rates. With over 1.5 million visitors a year, Le Puy du Fou is the fourth most popular attraction in France. It is a fantastic attraction for all ages, and more than a theme park in the traditional sense. It offers a selection of wonderful historical shows ranging from Roman circus games to world-class falconry. The main show takes place in the evening on a huge outdoor stage behind the ruined castle. It tells the story of the 700 years of history in the area in the form of a memorable sound and light show. 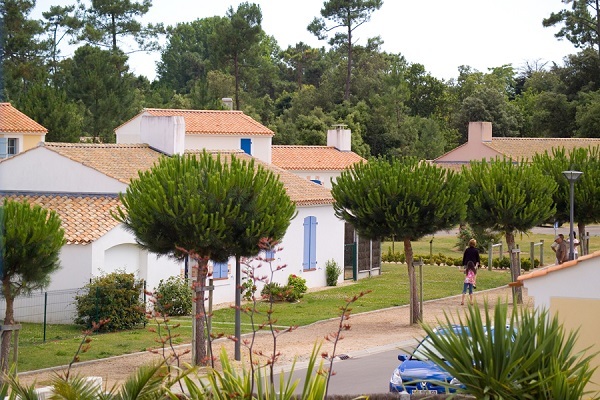 Noirmoutier is a delightful low-lying island just off the Vendee coast. 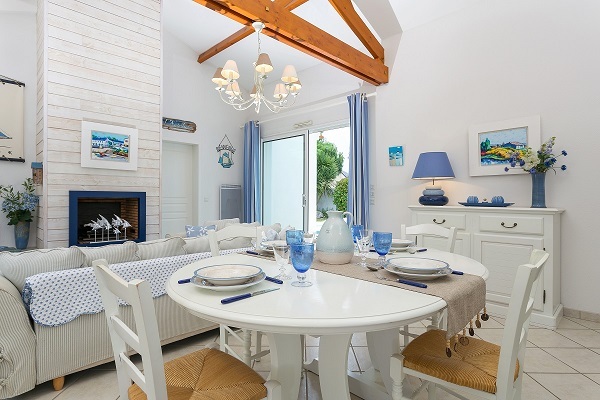 Accessed by either an ancient tidal causeway or modern bridge this small isle has a real Mediterranean feel with its whitewashed houses with contrasting terracotta tiles and blue shutters surrounded by pine forests. The island makes its living mainly from the sea with oyster and mussel beds and small harbours with colourful fishing boats. Ile D’Yeu is a small island lying six miles off the Vendee coast. It is a microcosm of the nearby mainland with a colourful fishing port, sandy beaches backed by dunes and pine forests, sheltered coves and low cliffs. The hour long ferry sails to Port-Joinville, a bustling harbour with and the main town on the island with a good selection of shops, bars and restaurants lining harbour side.